Sand is indispensable for turf care and maintenance of bunkers on golf courses. 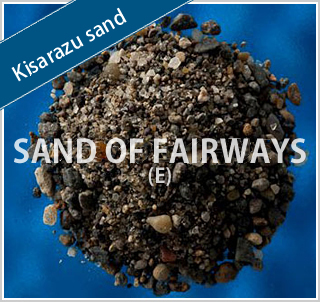 On the greens, the quality of sand may greatly affect the golfers' game. We handle a wide range of products for various uses in golf courses. Here, we introduce our product lines by usage. Without doubt, the quality of turf and sand is the key for managing golf course greens. 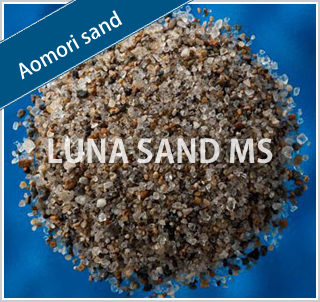 We can provide a variety of products including the USGA standard-compliant Luna Sand (Aomori sand) and other products to meet the diverse needs of our customers. 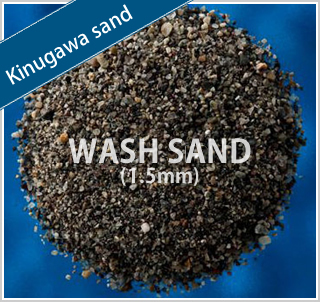 In addition to Aomori sand, we handle sand from other well-known sand production locations such as Kinugawa, Kashima and Niigata, so please feel free to contact us. 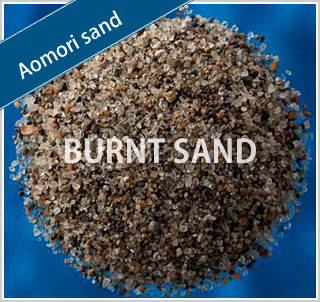 We provide burnt sand (heated sand) that helps to eliminate weed seeds as well as soil organisms and bacteria. Our reliable, rapid service from order to delivery is highly regarded by our customers. Especially for Luna Sand, we have secured dedicated storage depots at ports and we also keep it in stock at our affiliated companies. 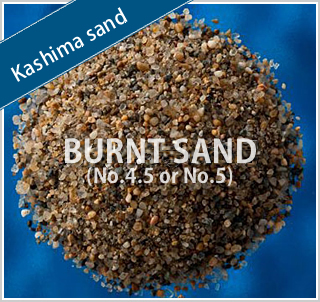 We have thus established a system for producing and shipping approximately 3,000 tonnes of burnt sand a month. 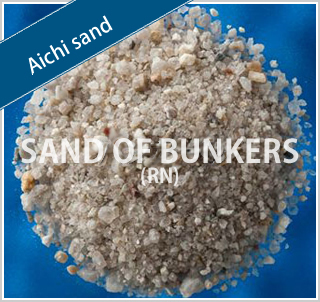 We provide not only Luna Sand for greens but also have a wide range of sand for bunkers. 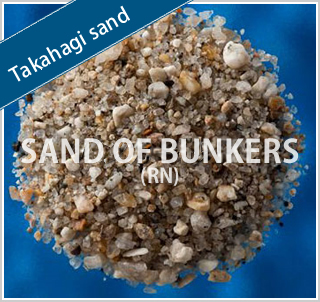 You can select the ideal sand for your needs from among many options including white Chinese sand which we have recently started to import, Hakuryu sand which is the whitest among artificial sands, and Aichi sand which is recognized to be the whitest of natural sands in Japan. 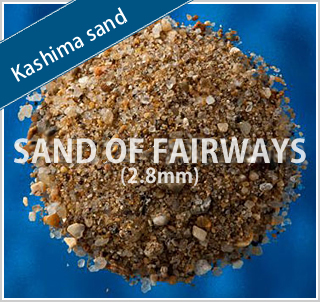 We deliver our sand products for fairways, tees and divots based on considerations of the distance from the sand production location to the golf course, cost and sand quality. 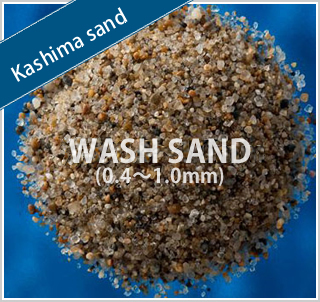 We offer a variety of sand according to production location, such as Kasumigaura sand, Kitaura sand, Kashima sand, Kinugawa sand, Tanagura sand, Tonegawa sand, Sahara sand, Kimitsu sand and Kisarazu sand in the Kanto district alone. 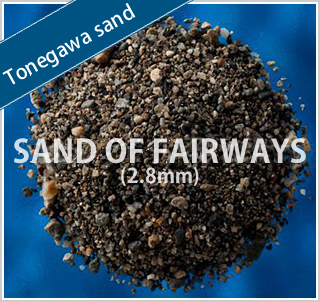 We have many colored sands in our range, which are used in areas of golf courses other than greens, bunkers and fairways. Our product range also includes pea gravel, rubble, gravel, red clay, black soil, boulders, baked black soil and pumice. Please contact us if you are considering construction work for renovation, improvement or other occasions.